Belli is a skin care brand from the US that develops products especially for expectant and new mothers. The company takes high safety standards and thorough screening processes to ensure no harmful ingredients in its formulations linked to birth defects. The range of Belli's products is mainly divided into three collections: Belli Pregnancy, Belli Motherhood and Belli Baby. Each of these products is designed for specific needs at different stages of motherhood. The products are created with natural, organically grown ingredients, free of dyes, synthetic fragrances and paraben preservatives. All the products are allergy tested, which is a great plus for sensitive skin type, just like mine. 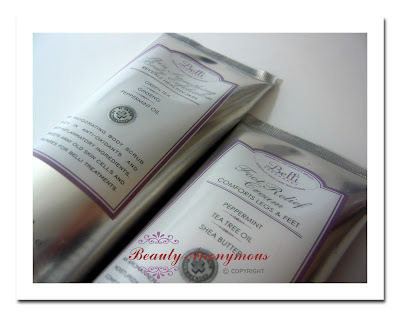 I had the pleasure of trying a few products from Belli. 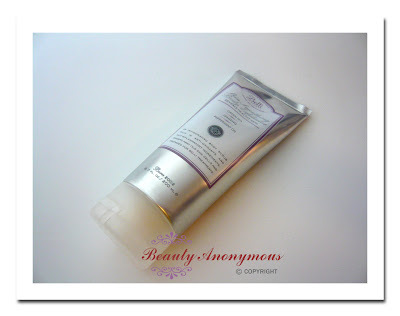 I am going to share with you my review on the Foot Relief Cream and Skin Smoothing Body Exfoliator. The appearances of these two products are simple, yet elegant. Its silver, lavender and white color packaging is very organic and lovely. Foot Relief Cream Foot Relief Cream features peppermint, tea tree oil and shea butter, which provide an aroma-therapeutic, anti-bacterial, moisturizing treatment to the swollen, tired feet and legs. Belli's Foot Relief Cream has a light soothing scent of peppermint and a cream texture. The cream texture is lightweight. It does take a little extra time to rub the cream until the cream feels workable. Once the cream feels workable, it is very easy to distribute the cream and gently massage into areas. What I really love about the foot cream is it remains workable throughout the duration of massage. Some of the foot creams I have tried before tend to develop flaky bits during the process of massage. I really dislike the flaky bits. This is a big no-no when it comes to foot cream (in fact, for any kind of creams). Usually, I love to do a deep massage for my feet and legs, back and forth for a few times, to relieve muscle tension and ache. It needs more glide and workability for deep massage and better absorption of foot cream. The kind of foot cream I like has to allow enough time for a thorough massage without drying out and causing flakes too early. To my great delight, Belli Foot Relief Cream does not cause flakes easily during the massage treatment. It leaves the skin a pleasant non-greasy finish. My feet and legs feel relieved and relaxed after the soothing massage. Belli Foot Relief Cream leaves the skin feeling refreshed without the cool feeling like other foot creams. I enjoy the cool feeling during the hot summer weather but not in the winter. That could be too cold and too uncomfortable in a cold weather. 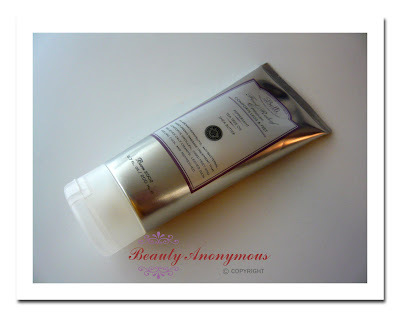 Skin Smoothing Body Exfoliator is a body scrub featuring green tea, ginseng and peppermint. These natural ingredients are known for their anti-oxidant and anti-inflammatory properties. It has a very refreshing and light minty scent. The particles are so refined that they gently slough dead skin and soften the skin without any harsh feeling. I love Belli's natural and gentle approach to the skin products. The ingredients and scents of the Foot Relief Cream and Skin Smoothing Body Exfoliator are so mild that revive the skin and gives me peace of mind. The packaging style is classy and elegant. Whether you are pregnant or not, it is worth considering Belli's skin-care and body-care products. The website of Belli accepts domestic orders online from within the US. Click here for a store locator near your place or online retailers that ship internationally. Does this mean they're tested on animals? Every Belli product is allergy tested, free of synthetic dyes and paraben preservatives. Thank you for leaving the message! I have the contact of Belli. I can help address your concerns. I definitely will update you again as soon as I hear from them. Hi Amanda - I am not sure who you emailed at Belli but we take every measure to answer all questions and I am sorry if we missed yours! We absolutely do not test our products on animals and we're listed on various websites listing cosmetics companies whose R&D processes are completely cruelty-free. Please feel free to post any additional questions and thanks so much for your interest in Belli Skincare! Monica works for Belli Skincare. I hope her comment has answered your question. Please feel free to post any comment if you have any question. Today, in the 21st century, this classic spiritual plant is still surging in popularity. Thousands of people have tried the original form of Salvia. People all over the world are beginning to understand they can induce spiritual phenomena at their leisure.